Representatives of history teachers’ associations from the region meet to discuss regional strategy within the ePACT framework. In the EUROCLIO partner-project ePACT we strive to achieve that education authorities and civil society jointly reform education and schools in the region to enhance critical-thinking and active citizenship. 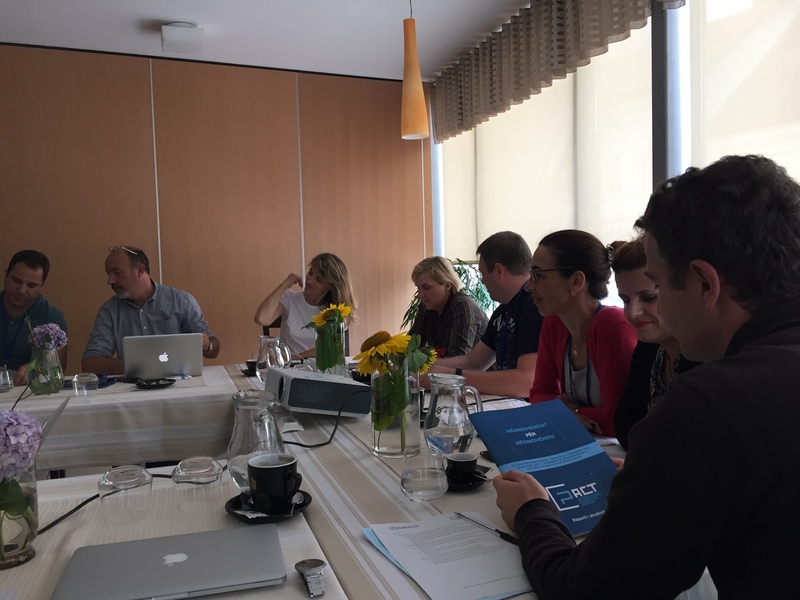 During the 4th Regional Summer School in Metlika, Slovenia representatives of the history teacher’s associations in the region gathered together with project coordinator Judith Geerling and EUROCLIO Acting Executive Director Steven Stegers as part of a special taskforce. The focus of this taskforce was to discuss how we can make a change with the result of this meeting, regardless of the fact that this change is big or small. The idea is to do some groundwork for a roadmap on the future direction of history education in the Western Balkan. The basis of this roadmap is formed by the research report ‘Teachers on Teaching’, that is now available in English, Serbian and Croatian, and will very soon be made available in Montenegrin, Macedonian, Bosnian and Albanian as well. The representatives presented per country to whom the (translated) report should be dissemination and who should be approached for the biggest impact. This included Ministries of Education, OSCE and EU missions, Civil Society Organisations and teachers in the country – including those that were present at the national events that were organised in the Fall of 2016 in the framework of ePACT. Moreover, the taskforce brainstormed on which elements should form part of a multi-annual roadmap. Suggestions were given, such as the need for accreditation of teacher training provided by the national teacher associations, the need for more professional development (and permission to actually participate in this). The need for regional exchange, regardless of the EU borders, is seen as vital. For instance by ways of a training centre and the annual regional summer school. The suggestions given in this meeting will form the basis for further work on a roadmap that will happen during a final project meeting in the end of 2018 in cooperation with project coordinator CDRSEE.